Get up to 7 free auto shipping quotes from the largest, most trusted District of Columbia auto transport companies and save up to 50% on your car shipping rates at CarMoves.com. Car shipping companies in Washington DC compete for your business, which is how you can save hundreds, if not thousands of dollars on car transport services by shopping with us. Whether you're shipping a car to the District of Columbia, across the country, or even overseas, we can help you get the best price on your shipment - guaranteed! Read more about the following auto transport companies in Washington DC before getting a quote. Click on the name of the company to read a full review. Bluestar Auto Movers Bluestar Auto Movers ships approximately 10,000 cars a year, making it one of the most prolific auto shippers in the market. Bluestar transports cars both nationally and internationally, and has a multitude of experience shipping cars bought online from sites like eBay. The company will even ship the vehicles of active military members at a discount. Get a free auto transport quote today to find out how much it costs to ship a car to or from Washington DC! Washington DC, officially recognized as the District of Columbia, is the capital of the United States of America. The district is formed from part of Maryland, though it exists as its own unique entity and is given a non-voting delegate in Congress. The area is home to over 600,000 people, many of which work for the federal government. As a result, incomes in the immediate area are fairly well above average. Suburbs of Washington DC, on the other hand, frequently have average family incomes well above the national average, though this distinction, perhaps, is less prominent that in previous decades. In the last ten years, gentrification of the inner city of Washington DC has increased the prosperity levels of residents and coincided with an overall decrease in crime in the area. Unlike many other major metropolitan areas in the US, Washington DC is not monopolized by skyscrapers and high-rises. Building height limits in place since the late 19th century ensure that most buildings are fairly low - the Washington Monument is still the tallest edifice in the district. Consequently, the city features sprawling areas of urbanization not unlike those found in many West Coast cities like Phoenix. The area's myriad constructions consist of a hodgepodge of architectural styles that, while among some of the country's favorite landmarks, have few unifying elements. The District of Columbia's importance for the US government has also lead it to being a top tourist destination in the country. The list of national monuments and landmarks is quite dense, many of which are located on the National Mall, a behemoth-sized park that is bounded on one side by the Lincoln Memorial and on the other side by the Capitol building in an east-west direction. The White House, the home of the President of the United States, is located to the north of the Washington Monument, itself not quite in the middle of the park. Perhaps the most recognizable event on display at the National Mall is the annual fireworks Independence Day show between the Washington and Lincoln monuments, which accompanies a concern known as "A Capitol Fourth." 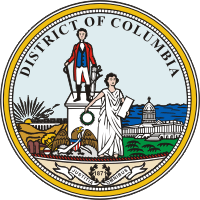 Besides being the central seat of the US government, the District of Columbia is also an applauded area for higher education. Schools like George Washington University, Georgetown University and the John Hopkins University Paul H. Nitze School of Advanced International Studies have all received considerable acclaim for their graduate and undergraduate programs, many of which lead into political careers. George Washington University students, notably, may not be phased to discover that their teachers and alumni include many powerful politicians of the past and present. Children in the district also have a variety of options to choose from, between numerous public schools and 52 public charter schools. CarMoves.com works with car shipping companies throughout the District of Columbia. We can help you get the best prices on car transport services to the Washington DC. We can get your vehicle shipped anywhere in the DC area. 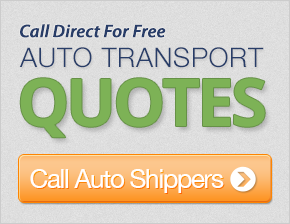 Scroll to the quote section on this page to compare free auto shipping quotes from up to 7 District of Columbia auto transport companies and save up to 50% on your move! View the District of Columbia Department of Transportation website for more information.